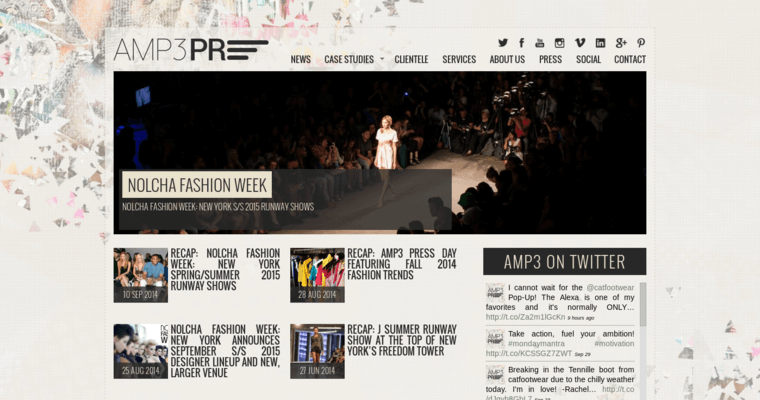 AMP3 is a public relations firm based in New York City and specializing in the world of fashion. 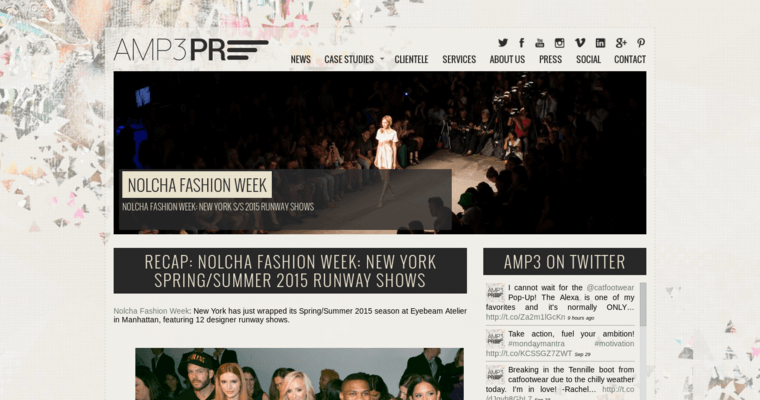 AMP3 specializes in campaigns for brands that include lifestyle, fashion, beauty and luxury brands. Some of the services that the firm provides include media relations, blogger relations, influencer marketing, social media marketing, search engine optimization (SEO) and event management. 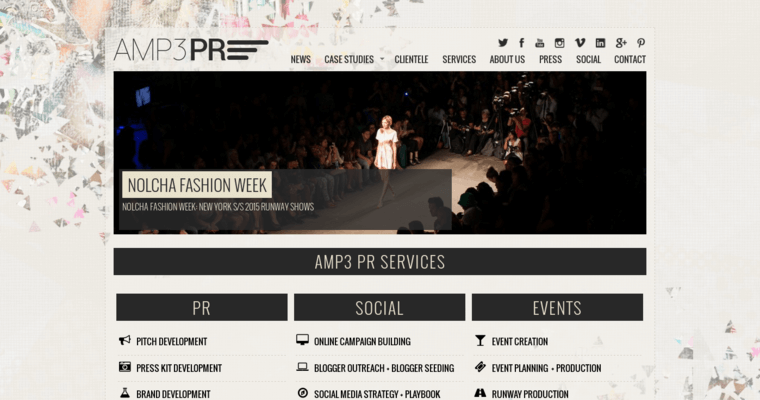 AMP3 has worked with small and large brands worldwide. Some of the firm's most notable clients include Uniti Fashion, Talia, Caitlin Kelly, Launch NYC, Tyler Hiltion, Grooveshark, Burju Shoes and many more. Through this work AMP3 has been recognized by industry organizations such as Bespoke Communication Awards and PR News Awards.